Professionally Designed Powerpoint and Keynote Templates for Every Kind of Presentation. From Company Profile to Creative Infographics. 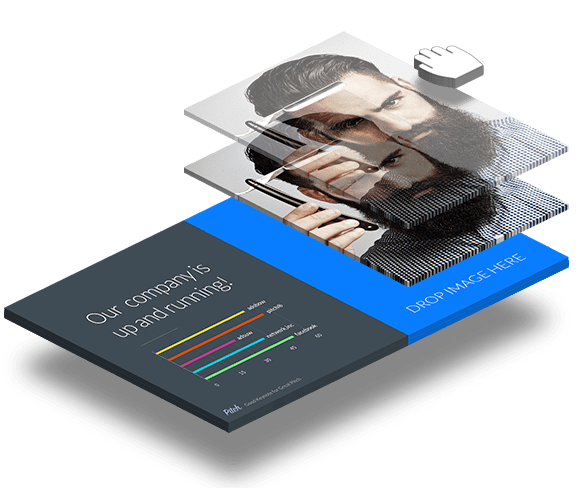 Professionally Designed Presentation Templates by Experienced Team. 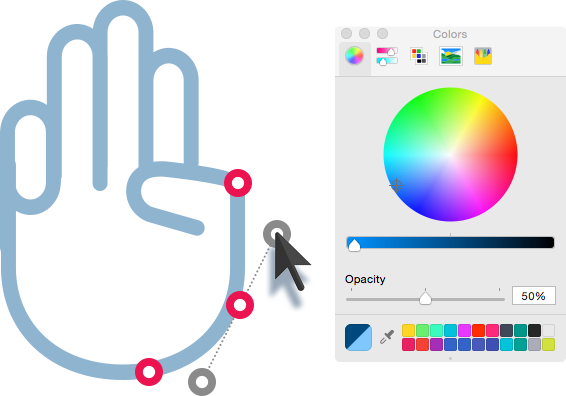 To make your editing process faster and easier, we make sure that all infographical objects are fully editable in Keynote/Powerpoint. Both in size and color, even for advanced editing object (points and curves). 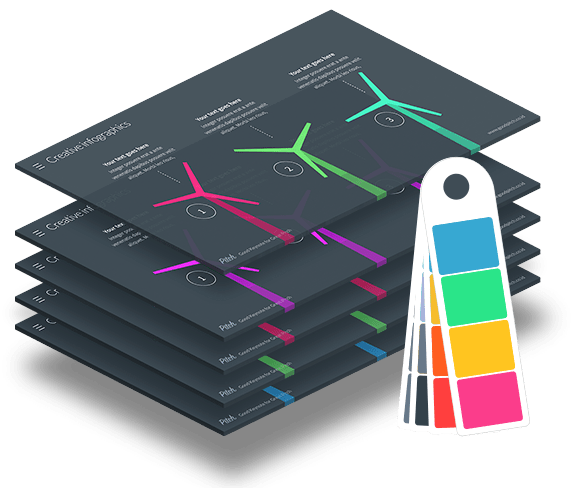 Every product is included with multiple pre-made color themes. You can pick which one that match with your company color or combine them to create your own colorful visual presentation. Our slides is built with unique picture placeholder. They will auto-adjust your picture into shape, changing the color adjustment and transparency automaticly. All you need to do is drop your picture and let the magic hapen. Fantastic template. so much fun to work with and develop it further. Thanks a lot and rock on like this! This presentation template is fantastic. It’s very easy to modify. I’ve used it on a number of presentations! Hello there!, we are small graphic design team based on East Java, Indonesia. In the last 3 years our templates has helped more than 9000 small businesses to improve their visual presentation. Not only good-looking visual, but we always aim to create easy editable template even for beginners. Our template are wide-ranging, from simple paragraph slides to creative infographics for digital marketing. Check our templates, and don’t hesitate to reach us via email or social media!